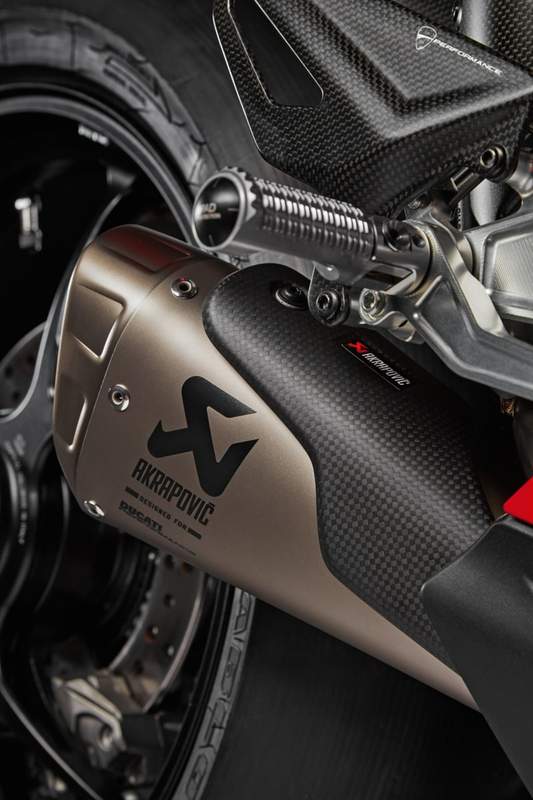 Made exclusively by Akrapovič with the Ducati experience. It is the most advanced racing assembly available on the market. Each section of the system is manufactured in a special titanium alloy that is both lightweight and resistant to high temperatures, allowing for an overall reduction in the bike's weight. 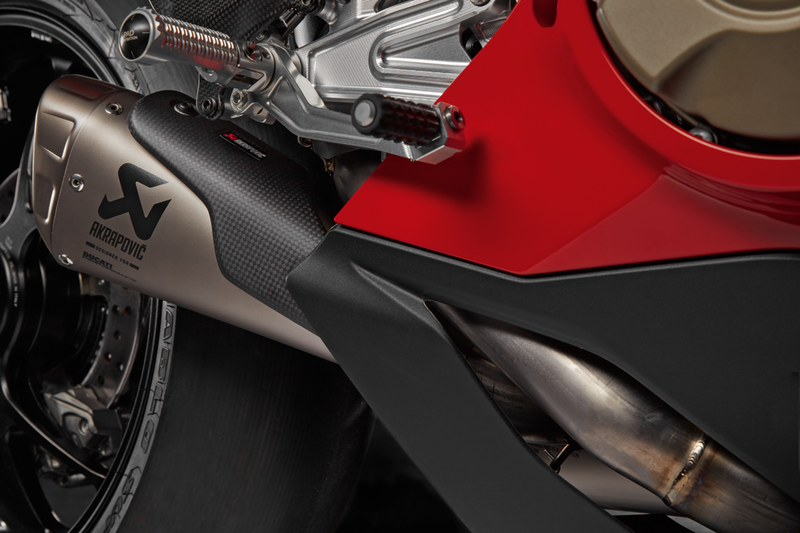 Once installed on the bike, the exhaust dramatically increases the already excellent weight-to-power ratio of the Panigale, for breathtaking accelerations and stretches. Thanks to its experience, Ducati Corse has developed the qualities of the motorcycle and exhaust to their maximum levels to create a perfect synergy, specifically for this exhaust, recalibrating the many and fundamental electronic aids: DTC, DWC, DPL and Slide on demand. Match part no. 96481631A with part numbers 96481381A, 96481381B, 96481382B, 96481382C to keep noise within the limits set to 107 dB, for use on track. Part no. 96481383C already complies with noise limits, therefore it does not need part no. 96481631A. To be fitted in combination with part no. 97180652AA, 97180653AA, 97180652AB, 97180653AB, 97180652AC, 97180653AC, 97180712A, 97180713A on V4, V4S, V4R and V4S CORSE.